As a development company specializing in general gas engines, we utilize Japanese craftmanship and technology in world racing fields to the further environmental technology. YGK has improved high thermal efficiency which means fuel efficiency, high durability and low environmental burden type of our engines for endurance race competitions. 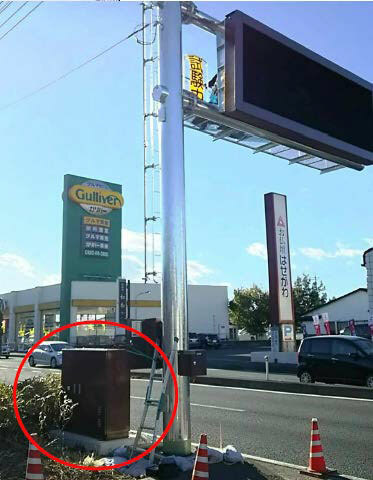 This technology was refined in the racing field with the assistance of Dr. Yoshimasa Hayashi EngD, and now has been utilized for general purpose industrial equipment (generators, co-generators and heat pumps) specified LPG/Biomass fuels. We endeavor to satisfy your requirements. Sep 1994 Club Yellow Magic registered as a FIA/JAF participating member. Oct 1995 5th place in the Ferrari 348 Challenge Italian Race. Apr 1998 Yellow Magic Division first established. Production started on an experimental vehicle, development code 2001, and baseline design of YR40 engine. 1997-1999 F-355 participated in the Japan GT Championship (JGTC) GT-300 Class series. Feb 2000 Participated in the Daytona 24 Hour race in the USA, experimented on a code 2001 vehicle and YR40. Apr 2000 Concluded a business collaboration with Fiat Auto Japan in the Super Taikyu series N-PLUS and started a development experiment on core parts of YR20. Aug 2000 Started sales and repairs of Ferrari and Maserati as a subcontract factory of Corns and Company Limited. An experimental vehicle, development code 2001, participated in International Suzuka 1000km race. Feb 2001 Participated in the USA　Daytona 24 hour race. Resulted overall 30th and 17th in class. Aug 2001 Completion of final experiment on YR40 in International Suzuka 1000km race. Resulted in the 3rd place in INT-GT class. Oct 2002 LMP Vehicle made by YGK debut at the Petit Le Mans, Road Atlanta. 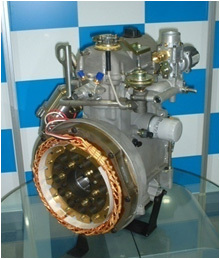 Dec 2004 YR40 engine technology awarded by The Japan Society of Mechanical Engineers. May 2005 Execution of a technology and business collaboration agreement with a major steel company. 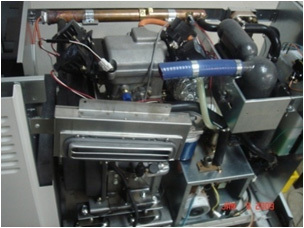 Development of the engines specified in LPG. Mar 2006 Execution of joint development agreement for home co-generation unit with a major city gas company. Oct 2007 Execution of production rights and distribution rights assignment agreement for 1kw home co-generator with a major gas appliances company. Jun 2008 Participated in the 24 hours of Le Mans race in France as an engine supplier. 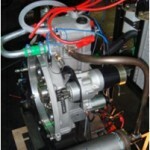 Sep 2009 Started development of Micro Gas Engine YL01（balcony and pole installation type）Generators. Jun 2011 Dr. Masayoshi Hayashi EngD　received Spirit of Le Mans award. Jul 2013 Exhaust Energy Recovery hybrid system was approved in Europe and the US.